Everyone loves to get away from it all and enjoy a well earned break, but there’s a lot to consider when booking your holiday. There’s the location, the time of year, the accommodation and, of course, the cost. For the holiday to be perfect, it needs to tick all the boxes. It’s no surprise that one of the most popular choices is booking holiday apartments on the Gold Coast. This prime Queensland location has been a popular vacation choice since the 1950s. The great thing about the Gold Coast is that it has something to offer everyone, with its endless stretches of beach, lush green hinterland, theme parks, casino, dining and entertainment. 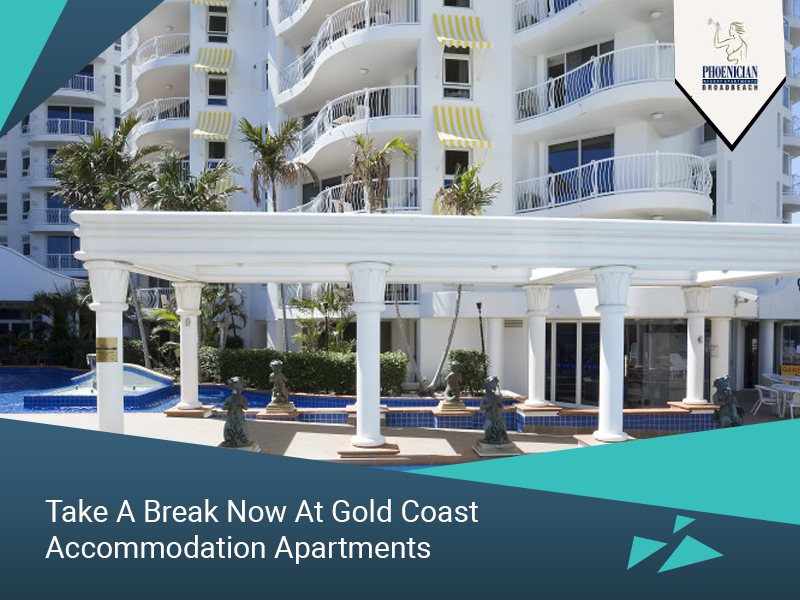 The fact that Gold Coast accommodation apartments are also very affordable now is another big plus. People without children often choose to holiday off-season, to pick up the best savings. And there are some great deals to be had. This type of holiday works well on the Gold Coast, because most attractions and amenities are open all year round. And of course, the Gold Coast enjoys fantastic weather all year round, too. However, it is also possible to score a great deal in the high season, if you know where to look. For example, if you’re not fussed about an ocean view, the Phoenician Resort offers a massive 15% off normal rates, when you book a garden or courtyard apartment. That’s a huge saving, giving you more spending money to enjoy at the many great cafes and restaurants nearby. Then there’s the Early Bird Specials, as well as the enormously popular Winter Warmers. The impressive range of eateries within walking distance of the resort are one of the many reasons visitors choose Broadbeach accommodation. Broadbeach is home to one of the Gold Coast’s most famous Eat Streets, and it just got a multi-million-dollar makeover, in time for the Commonwealth Games. There are so many good reasons to choose Gold Coast accommodation apartments for your holiday – and that’s why they are amongst the most popular destinations in Australia. Apartments offer you so much freedom, privacy and comfort, making them perfect for couples, families and groups. Couples love our luxury one-bedroom apartments, while families appreciate the space and comfort of the two-bedroom apartments. The two-bedroom apartments are everything a good apartment should be, with TWO bathrooms, accommodation for 6 if needed, awesome kitchens, and separate living and dining areas. For families, this is a great choice, offering mum and dad some quality timeout, as well as heaps of room for the youngsters to play. Then there are the resort facilities. There’s not one but TWO pools – including an indoor, heated pool for those cooler days. The games room keeps the kids out your hair for hours, so you can spoil yourself with a sauna or spa, or even a workout in the gym. And then there’s the beach – two beaches to be exact, and practically on the doorstep. You can’t get much closer to the ocean! With some of the best facilities on the Gold Coast, and amazing price deals on Broadbeach accommodation all year round, this is a resort that’s hard to beat.